2. 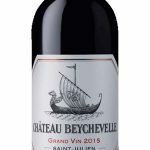 Vinen til Château Smith Haut Lafitte fra Pessac-Leognan. 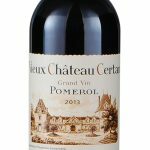 Pessac-Leognan, Château Smtih Haut Lafitte Le Petit 2014 har et hint af karamel og mørke kirsebær, gourmetagtig, moderne med elegance og en kæmpe følelse af nydelse, selvom vinen stadig er ung. En meget gennemtænkt vin – også sammenlignet med den mere prestigefyldte “storebror”. Blanding af 60% Cabernet Sauvignon og 40% Merlot og lagret i nye egetræsfade. Pessac-Leognan, Château Smtih Haut Lafitte Le Petit 2014 er 2.vinen til Château Smith Haut Lafitte har et hint af karamel og mørke kirsebær, gourmetagtig, moderne med elegance og en kæmpe følelse af nydelse, selvom vinen stadig er ung. En meget gennemtænkt vin – også sammenlignet med den mere prestigefyldte “storebror”. Blanding af 60% Cabernet Sauvignon og 40% Merlot og lagret i nye egetræsfade. Today, Chateau Smith Haut Lafitte is owned and managed by Daniel Cathiard and Florence Cathiard. The Cathiard’s purchased the Bordeaux estate in 1990. They bought the estate from the well known, Bordeaux negociant and importer to America, Louis Eschenauer. According to Daniel Cathiard, there were numerous estates in Bordeaux for sale at the time. But a big part of the reason they purchased Chateau Smith Haut Lafitte had to do with the fact that Smith Haut Lafitte is one of the few Bordeaux vineyards producing both red and white wines. Florence Cathiard and Daniel Cathiard are both champion skiers who competed in the Olympics. They made their original fortune by creating a large chain of sporting goods stores. At Smith Haut Lafitte, all work in the vineyard is organic and self sustainable. In fact, much of the farming techniques employed are with an eye to biodynamic farming techniques. Fabien Teitgen, the Technical Director for all the Cathiard properties is an integral part of their estate’s success. Fabien Teitgen likes to keep up with any technical improvements and is clearly driven to produce the best quality possible is always on the lookout for ways to improve the wine at Smith Haut Lafitte from work in the vineyards, to efforts in the cellars. Recently, he began a program experimenting with whole cluster fermentation for a portion of their Merlot. This means that some of the Merlot was vinified with their grape skins intact. Michel Rolland and Stephane Derenoncourt are used as consultants.